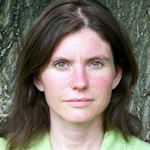 Catherine is a member of the Faculty. When Catherine began studying Heilkunst, she walked through a door into a world that made sense. Heilkunst gave her a framework and a focus for her pursuit of higher education. With greater health, Catherine opened Heilkunst North in 2007 in Thunder Bay, Ontario, to accommodate her growing practice. She has been invited by several organisations to speak about Heilkunst and share her expertise. She is a member of the Canadian International Heilkunst Association and a tutor with the Hahnemann College for Heilkunst. Catherine is busy with her healthy, vibrant family but always has time to share, to care and to smile. Her steady and quiet enthusiasm for her work shines through in all aspects of her life.